1 Assistant Manager (Mines) Grade E-2. 01. 2 Mechanical Engineer. Grade E-2 . 01. 3 Electrical Engineer Grade E-2. 01. 4 Mine Foreman Grade E-1. 03. 5 Mining Mate Grade E-2. 03. 6 Geologist. Grade E-2. 01. 7 Electrical Supervisor, Grade T-10. 03. Applicants must have completed Diploma/Graduation/Post Graduation in relevant field with minimum marks from the recognized Institution. Refer Official Noification for post wise educational qualification. Candidates can first visit HCL Official website @ www.hindustancopper.com. Read the Official notification properly. Carry the application form along with necessary documents to the Walk-in-Interview which is to be held on 6-11-2017. Hindustan Copper Ltd Recruitment Notification issued. Candidates who are looking for the HCL Jobs can check the HCL Recruitment 2016 Notification here. There are 153 HCL Executive Jobs. Eligible contenders can check the HCL Executives Recruitment Notification and apply before the last date 30th November 2016. For further insight into the Latest HCL Vacancies, you can bookmark this website. Hindustan Copper Limited has recently issued an Employment Opportunity for filling 153 HCL Executive Jobs. 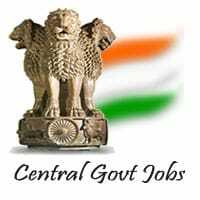 The job seekers who are interested in working with Central Govt can check the HCL Recruitment Notification 2016. Interested candidates can check the HCL Executive Recruitment here on our page recruitment.guru. You can also find the Hindustan Copper Limited jobs advertisement Details at the official site @ hindustancopper.com. The HCL Executive jobs Notification details like vacancies, age criteria, educational qualifications are available here. You have to read the entire article to get the HCL Jobs Notification details. Eligible contenders can apply online for the HCL Recruitment before the last date i.e., 30th November 2016. The HCL Jobs online application is available from 1st November to 30th November 2016. You can check the HCL Executive Recruitment online application from the bottom of this page. Name of the Organisation Hindustan Copper Limited. The candidates who wish to get Hindustan Copper Ltd jobs have to check the Hindustan Copper Ltd Recruitment details before they apply. You can download the HCL Jobs notification on our page recruitment.guru. Consequently, eligible contenders can fill the form through Online. The Aspirants who wish to apply for HCL Executive Recruitment must check eligibility conditions. To apply for the Hindustan Copper Ltd Recruitment, one should possess Graduate Degree. The candidates who wish to apply for the HCL Executive Recruitment 2016 must have to possess Graduate Certificate in respective discipline. For clear insight into the HCL Eligibility, you can check the HCL Recruitment Notification affixed below. The Age limit for the candidates who wish to apply for this HCL Executive Recruitment is as follows. For Grades E-1 to E-4 Posts: Written Test and Personal Interview. E-5 and above Grades: Shortlisted candidates will be called for Personal Interview Only. SC and ST Candidates: ₹ 500/-. No fee for PWD Category Candidates. The candidates who wish to apply for this HCL jobs must satisfy the eligibility conditions. The applicants can collect the application form here on our website. Eligible contenders can fill the application form carefully with the necessary information on or before 30th November 2016. The eligible candidates who want to apply for the Hindustan Copper Ltd Jobs can follow the bellow provided steps. Firstly, carefully read the HCL Executive jobs recruitment notification. Verify whether the eligibility satisfied or not. If yes, then click on the given provided the direct link. Now, fill the online application with the complete details. Upload the necessary copies of the documents if necessary. Collect the copy of the HCL Jobs online application for future use. Sir plz inform us when is the exam date and exam pattern.